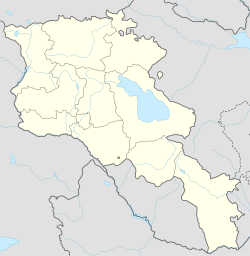 Vanadzor is the third-largest city in Armenia. In 2001 there were 107,394 people. It is the capital of the Lori Province. It was named Kirovakan during the Soviet era and Karakilisa during the Tsarist period. Much of the city's history is unknown. The history of the area possibly dates back to the Bronze Age. It was definitely part of the Kingdom of Armenia. The town had a lot of damage from the 1988 Spitak earthquake. Most of the people belong to the Armenian Apostolic Church. Vanadzor is the home of the Diocese of Gougark. This page was last changed on 10 July 2018, at 18:27.